Bridal showers have gradually evolved from their origins as formal gift-giving occasions hundreds of years ago into modern evenings of quirky fun. Since they first became de riguer as long ago as the 1890s, bridal showers have held firm as a tradition in many countries across the world. Originally, the ritual was established in order for wealthy friends and family to provide gifts and financial assistance to a bride-to-be and thus guarantee that her wedding would take place. Even though some people still choose to offer gifts at bridal showers, the celebration has largely evolved into an opportunity for the bride and her closest friends to have some fun before the formalities of big day. In fact, an increasing number of brides even host the event together with their future husbands as a sort of precursor to the wedding so that friends form both sides of the union can gather for an informal get-together. 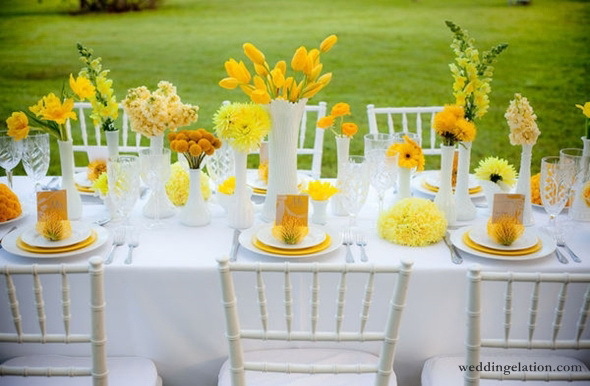 Here are some top trends for a bridal shower – all of them possible to organize as part of a destination villa wedding in Thailand. Whether you are planning a fun night with the girls, or the gents will be in attendance to, a games night is great way to get into the wedding spirit – particularly when you host the shower at a private villa as a way to welcome your friends and family to a destination wedding. 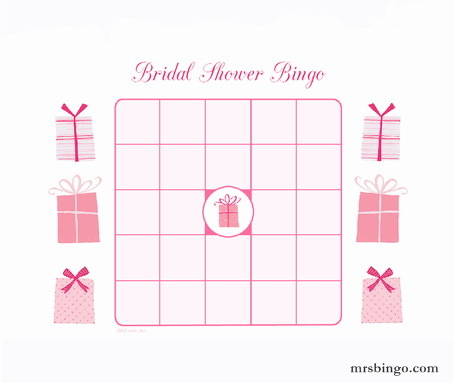 Bridal Bingo is a firm favourite with many couples and it's easy to set up. First, get your bridesmaids to create bingo cards, replacing the word ‘Bingo’ with ‘Bride’ on each card. Then, instead of numbers on the card, they list pieces of trivia related to weddings, or even to the couple themselves – where they got engaged or how they met, for example. The Bingo Master then reels off a whole collection of these snippets for players to tick off in the same way as they would numbers. The first person to tick off a complete row wins. If your definition of a great evening includes a bar, then why not set up a special one for your bridal shower? To keep things intriguing, you can hire a mixologist to come to your private villa and teach you a few tricks about how to make the most mouth-watering tipples for your guests. If you want to do something a little more unusual for your bridal shower, you can complement the regular bar with a perfume bar. 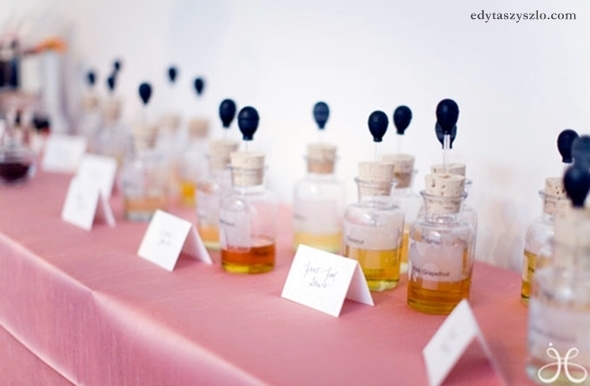 It is easy to set up a selection of oils and cute mini perfume bottles so guests can create their own signature scent to wear on your wedding day. DIY perfume kits are also available over the internet, which make for an evening of spritzing fun. 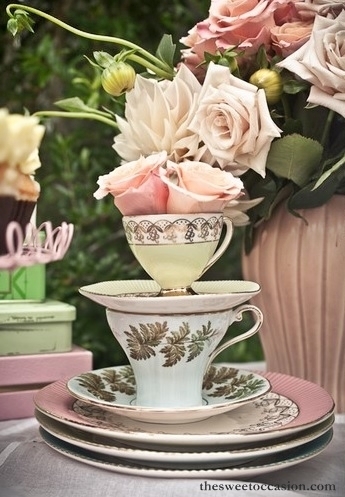 Who said the time for tea parties past in the era of Jane Austen? Afternoon tea is still a highly popular tradition in many parts of the world, and it can also form the basis for an elegant afternoon of pre-wedding fun. A traditional tea party should include a selection of sandwiches, cakes and scones, and even if you travel to an exotic location like Thailand for your wedding, islands like Phuket and Koh Samui are home to countless delis and bakeries where it's possible to pick up tasty treats in advance. If you want your tea party to give off more of an exotic vibe, add a little Thai flavour by serving iced milk tea with mango and sticky rice desserts for your guests to enjoy. Champagne, of course, is compulsory. If you are a bit of a hippy bride and will be wearing a flower crown on your wedding day, a bloom-filled bridal shower may be the perfect choice for you. With the help of your villa manager, it's simple to find a local florist in most holiday destinations who can come to your villa and provide a fun workshop in flower arranging. The food and décor can also be themed around flowers. Think edible flower petals, cakes iced with daisies and cookies with flowery frosting. If you liked the idea of a perfume bar, then the prospect of a whole beauty bar will probably be even more appealing. Turn your shower into an opportunity to pamper your guests after they've made the long journey to join your wedding celebrations. 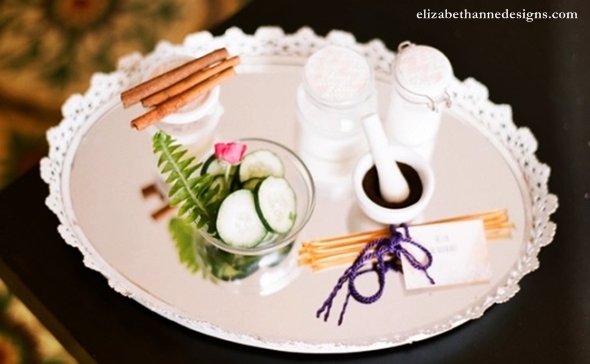 Prepare a beauty bar packed with natural ingredients for your guests to create their own beauty treatments. Honey, papaya, and coconut oil are all plentiful in places like Thailand, and they also do wonders for your skin. If that isn’t enough pampering for you, hire a few trained masseuse’s to set up massage stations around the villa. That way your guests can enjoy a Thai massage, reflexology session and a facial all in one evening.